My blog has just received it's 20,000th hit in a little under 2 years. When I started the blog during the election campaign and had 200 hits in October 2010 I was thrilled. This month I have had over 2,000 hits and the vast majority of these are now coming from Australia. I'm glad you have found this a great way to find out about things ( Council things) happening in Unley and in particular, Goodwood South. I have found this to be an interesting method of keeping in touch and of gauging opinion on a range of topics. So, thankyou and keep enjoying the blog. 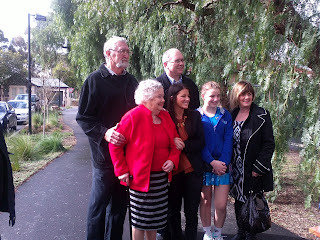 This morning I attended the opening of the Ron Praite walk in front of members of Ron's family, including his wife Joan, Councillors and members of the public. 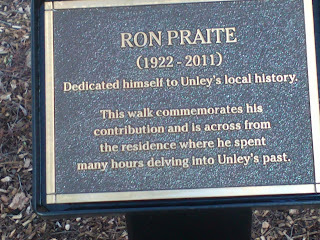 In a brief but moving ceremony this citizen of Unley was honoured by having a portion of the linear walk named after him. 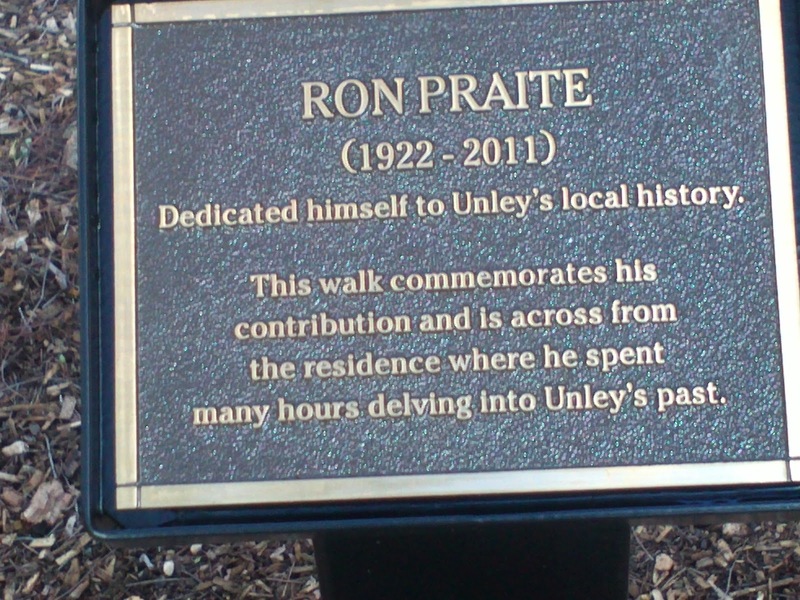 Ron was tireless in researching and writing about Unley and it's history and was a wonderful man to have known. Graffiti on state government infrastructure has remained a problem for a number of years. This may be because government is slower at removing it and, therefore, more tempting for the perpetrators. I have attained a phone number that you can ring regarding the location and removal of graffiti. This number is 82184046 (David). He assures me that easy to reach graffiti is relatively quickly removed and the more difficult to remove stuff takes longer. 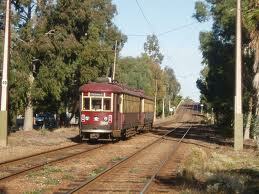 Most of this property is along the tram and train lines, especially the tram overpasses. The federal government has different rules regarding the freight line which is probably why it is rarely removed and remains unsightly in many places. The best way to get other graffiti removed is to take a photograph of it and forward by email telling me its' location. The newly recruited volunteer team will usually remove it in within a couple of days. The trees in the pictures are the only two remaining from the original black forest after which the suburb was named (eucalyptus mycrocarpia). 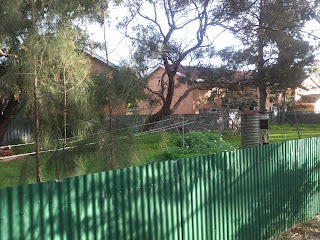 These trees are on privately owned property that abuts the Black Forest Primary School Oval (Forest Ave Reserve). Local resident, Kate Hubmayer, fears that when the property is sold it will be suitable for redevelopment and that the trees may be lost. I will ask Council to produce a report that outlines various strategies that might be employed to protect the trees. I have asked FOCUS for their support and have visited the site with members of this group. 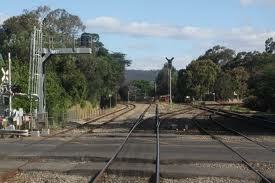 I have had word from DPTI that their now preferred site for their works depot during the grade separation of the railways at what is now known as Goodwood Junction will be at the Showgrounds. This is a sensible decision and should have the lease potential impact on Goodwood South. The residents in Fairfax Ave have decided that they have had enough of their disruptive neighbour and presented a petition to Council to endeavor to prevent and escalation of the problem. 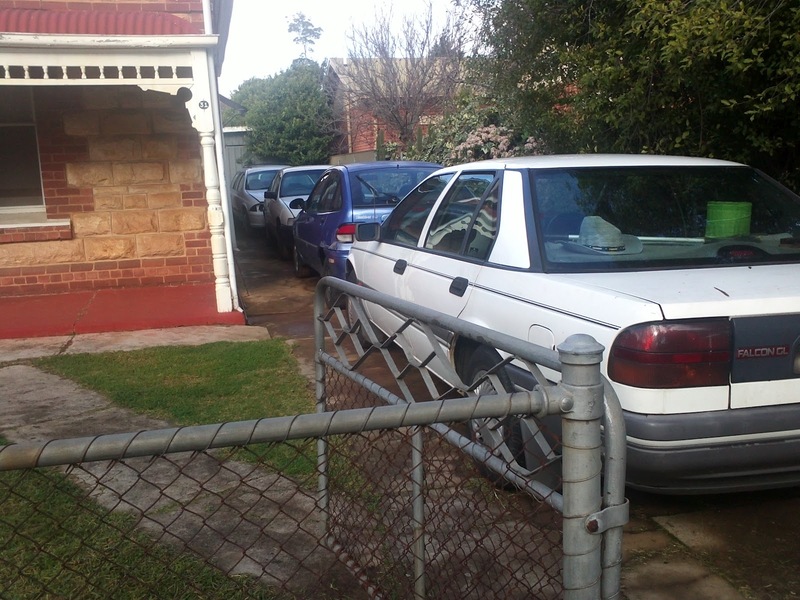 The yard of one house in the street is fast looking more like a dump or a used car yard than a pleasant suburban lot. The same residents were successful recently in getting the bus removed from another property where it had been parked for 20 years. The first matter has been on Council's agenda since November 2010 as the matter was raised during the election campaign. At that time staff investigated and found only 5 cars were parked on the site and there were no grounds to intervene. However, with the increased intensity of use Council is now investigating again. The outcome will be interesting but it is not likely to happen overnight. Miles Kemp raised this issue again this week in the Advertiser (July 20th). Evidently there is another review concerning the size of Councils as part of a national probe. The driving force in SA is Bob Such who genuinely believes that larger Councils will result in cost savings that will then reduce rates. The previous amalgamations in the late 90's have not resulted in any identified savings to residents. There are plenty of papers supporting the argument that rates would fall but no evidence to suggest that they ever did. Friday's article compares the number of staff to the number of residents: Unley's ration was1:209, with the best results held by Onkaparinga1:267 and the worst Orroroo at 1:39. However, Councils use a range of consultant and contractual services, the more that is outsourced the better the rate is likely to be. As Councillors we are trying to encourage the use of in house services as much as we can, this may well increase the ratio (more staff) but actually reduce costs. Council also shares resourcing for a number of things including garbage and waste collection, immunization, health services, etc. The final event to gather ideas for the next Development Plan was held yesterday. There was a steady stream of people coming through from 12pm to 8pm to look at the ideas already put forward and to both comment on these and to add their own point of view. I hope many of you had time to be one of these people and at least some people asked for better connectivity across Unley for pedestrians, cyclists and vehicles. Thursday afternoon will be your last opportunity to have input into the content of the draft Strategic Plan. From 12 midday to 8pm the Town Hall will be open for anyone who wants to comment on things that have already been proposed and add new ideas into the mix. Schools have been invited to attend between 12pm and 2pm so I would leave it until after that. I will be there from 3.30pm to 4.30pm and again from 5.30pm to 6pm and after 7pm. These will fit around my work and meeting schedule. It would be good to see you there. The final ideas from this and the feedback from other events will be discussed at a weekend workshop of elected members in August. After a final draft is written the new document will be available for people to comment on again. Take this opportunity to have your say. We had a friendly and informed discussion in which we had clarified that the culvert locations as shown on the draft plan are indicative only. DPTI will be constructing the culverts under the rail lines only, they will not be completing the culverts themselves. The Stormwater Management Authority will be installing the culverts when and if they are scheduled to be completed, realistically this could be 5 years away. The culverts are, however, much wider and deeper in the No Dam option for BHC that they are for the Dam option. Discussions have already occurred with land holders about significant trees that are on private property; I believe they have had a mixed reaction to this. Possible sites for the works depot during construction have been discussed; these include the vacant land at Millswood Lawns, the hockey field at Goodwood Oval and an area in the Show Grounds. The GAP pipeline is infrastructure that will be easy to work around. The greatest disruption to residents is likely to be caused by the removal of soil for the tunnel to be constructed, the trucks are most likely to use Chelmsford Ave. In the meeting with Step Key we were better informed, we were also joined by some concerned residents. We discussed the same issues but Steph thought there might be some ways the government could compensate local groups and that these require further discussion. The LATM was approved in the 2012-13 budget. The need for this study was identified initially during the last election campaign in 2010 and there have been various concerns about traffic flow and management in the last two years. 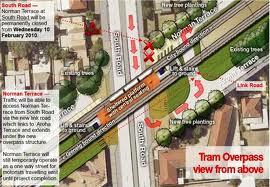 This area, to some extent, will also be impacted by the Greenways project and the railway electrification. The latter two are state funded initiatives over which Council has little control. However, there should be an overall improvement in amenity along the railway line in Black Forest. At last night's Road Safety Committee meeting it was decided to further delay the preferred site for the pedestrian refuge in East Ave until after the LATM plan has been developed. All residents in Black Forest will be asked to complete a survey about what they believe are the traffic issues and suggestions to manage traffic flow. They will also be asked if they wish to join a small group that will debate the identified issues and impacts of a variety of solutions. The preferred options will be drafted and prioritised and further consultation then take place before recommendations are put the the URSC and then to Council. It is hoped that all of this can be completed in the next few months. Centennial Park have ruled out adding any cost to cremations or burials for this financial year due to the carbon tax. I'm quite sure most of us haven't been dwelling too much on this and hope someone else will make the necessary arrangements should it be necessary. One Melbourne Cemetery recently added $55 onto the cost of a burial and blamed the cost increase on the carbon tax saying 'even the dead don't escape the carbon tax'. While they have been forced to apologise Centennial Park has decided not to follow their initiative. 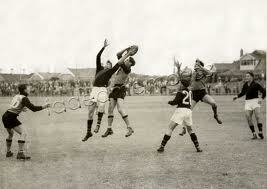 Options for 39 and 41 Oxford Tce; This reports suggested releasing 39 Oxford Tce to the Sturt Football Club for a further period of up to 3 years. The proposal also suggests a division of the building so that the remaining portion can be let to a different tenant. 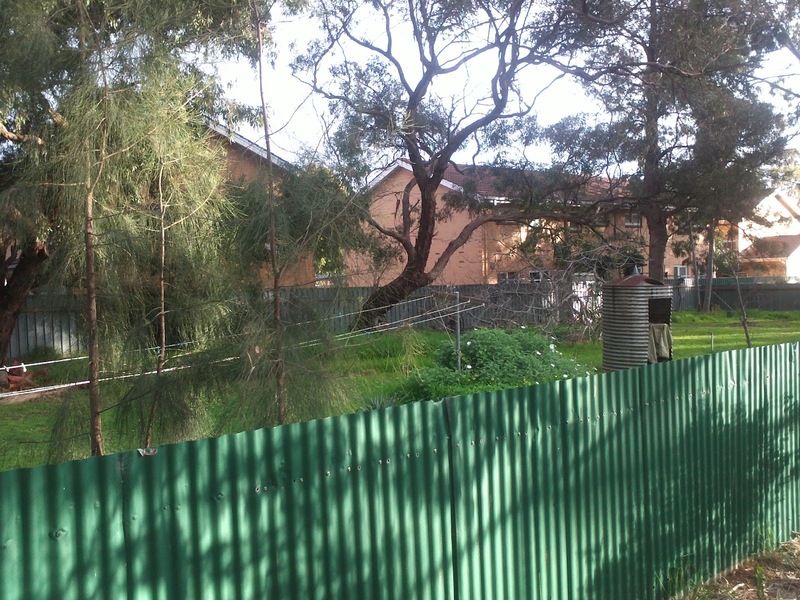 The property at 41 Oxford Tce is currently used by Kirinari school. They have used the land for many years with out paying any fee; a lease would formalise this arrangement. However, I feel Council should also further investigate the sale of both pieces of land. It is possible that Kirinari could be a potential purchaser for both sites; Sturt has been offered the right to purchase the property and declined Council's offer at a fixed price in May 2012. This was PASSED but will be reworkshopped before any further decisions are made. This means Councillors will discuss in private what further information they need to make informed decisions. 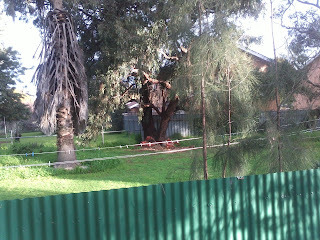 Unauthorised Removal of a Street Tree; This matter is confidential. Council have been pursuing the Community Consultation on a new Strategic Plan. You still have an opportunity to complete the survey (see link below) to tell us what you would like to see done differently. You can also take the time to be at the final information gathering and sharing session. I encourage you to get involved. I attended two sessions this week, one for greening and the other emerging. I came away thinking that there are many things Council is already on track with and some that will require a good deal more debate and consultation. The greening ideas were around encouraging energy and water efficiency for both Council and in businesses and residences, encouraging the growing of more food in both private and public spaces and waste reduction and disposal. The emerging ideas kept coming back to Planning for the different types of businesses and lifestyles that will emerge and providing ways that our young people can afford to live in Unley and leave home. This also touched on providing housing for baby boomers that will enable them to continue to live in Unley but be able to move to smaller homes that require less maintenance. How do we bring this to Unley? How will it enhance your lifestyle? Go to www.unley.sa.gov.au/acommunityofpossibilitiesand answer our survey. You are invited to take part in “The Shebang” at The Town Hall on Unley Road on Thursday 19 July 2012 from 12pm-8pm. These dynamic and interactive open public sessions will give you the opportunity to review and comment on all the possibilities that have been gathered from our community. A brief update on the grade separation. Sturt seems to have received a lot of press coverage of late, much of what I have read is simply mot true. I believe the Council will ask for a retraction the Easter Courier over this weeks article titled 'Bold vision for Unley'. It is not true that we are considering spending any additional funds in this budget nor in the Long Term Financial Plan on Unley Oval other than to develop a Masterplan through the Community Assets Review. This Masterplan includes all other sporting complexes including both Goodwood Oval and the Millswood Complex. It may also take 20 years to implement and any identified projects will need to be primarily funded through grants. The money that Prospect Council used to redevelop Prospect Oval was Federal money, Unley received over $5 mil from the same source; we have spent ours on the Culvert St drain and linear path and on aquifer recharge investigation and solution. 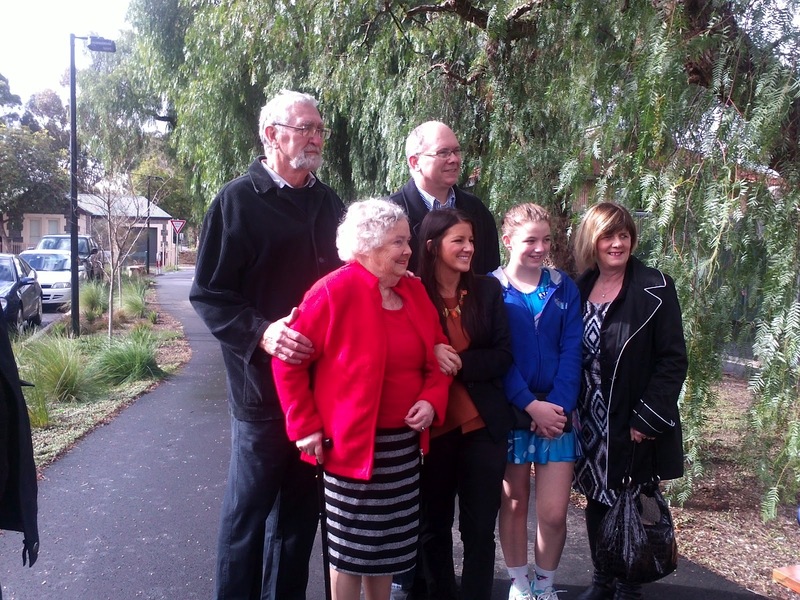 As a Councillor I felt the money was well spent for all of our ratepayers on these projects. No plans have been put to Council about a picket fence or any other permanent fencing of Unley Oval for Council to debate at this time. The temporary fencing is erected , dismantled and paid for by Council not Sturt, so any discussion about the cost of this being charged to Sturt is untrue. I will continue to keep an open mind when I am asked to debate and make decisions but only when I have the facts put in front of me. I have seen their financial statements but can not make any comment on them. I think one of the most rewarding sights in Unley is all the small boys playing many simultaneous games of Kanga cricket each Saturday morning on Unley Oval in summer. It is beautiful. Re: Barbara Robertson "An Australian Artist's Life"
Wednesday 8 August from 10.30am - 12noon. Lorraine give talks about her around South Australia and in Victoria. Last night I attended a briefing on this project from DPTI. 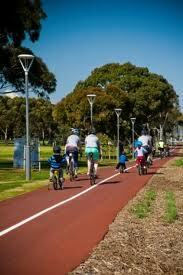 The project aims to create a safe cycle path along the Noarlunga rail line. Some works have already been completed near Emerson crossing and in Marion. The works in Black Forest will begin in Jan 2013( or when the line is closed for electrification). There will be work completed along most of the rail line between the South Rd and Victoria St going into the rail coridoor between Cowper St and Canterbury Tce and from Chelsford Ave to Victoria St. The latter section will negate the dog leg needed at present that takes cyclists into Oakley Ave ( the failing to do this was raised at an earlier meeting and it is heartening to know I have been listened to). This is a $3mil dollar project. Clearly this is also complicated by the rail grade separation. The Mike Turtur bikeway that runs along the tram line now has up to 150 cyclist per hour using it and over 1500 people use it to cycle in any one day. This makes it's use the highest of any in Adelaide. Unley has once again been offered a start for the Tour Down Under. This will be Thursday 24th January 2013 with a 139 km from King William Rd to Stirling. This must be the long way. This means the Gourmet Gala will gain be held on the evening before the event. This is an opportunity for Unley people to come together to share each other's company at a public event. Street Sweeping; The trial notification of street sweeping is about to begin; if you have volunteered to be part of the trial Council should let you know a day in advance of the sweeping. This should enable residents to ensure that least their own cars are not parked in the street and for any leaf litter to be swept off the footpath and into the gutter. in July to ascertain the next step in making the area near the Scout Hall safer for children, a zig zag line has been suggested by on resident as a solution. ; A traffic investigation will be conducted this financial year of all streets in the locality to decide the best manner to move forward. In the meantime residents near the bend should have had their driveways marked (with yellow lines) to help improve access. 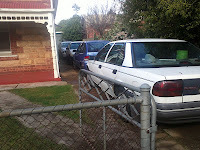 Aroha Tce; The disabled parking bay has finally been line marked. , Keep Clear signs to enable easier entry and exit to and from the street. , the location chosen can never please everyone but should meet the needs of the majority. ; Consultation will occur in July regarding better markings on the road to improve cyclist safety. ; Residents might see the bus that has been parked in the driveway of one of the properties moved in the near future. Staff have had extensive interaction with the owner. ; some of the trees in poor health have been removed and replanting should have been undertaken. Storm water management; Following a recent issue this is just a reminder that if the storm water falls on your property it is unlawful to allow the water to exit your property other than directly to the street (unless you have planning approval to dispose of it in some other way). You can also dispose of it on your own property as long as this does not impact on your neighbor. Council meeting; The next meeting of the Full Council will be held at Goodwood Community Services on July 25th. It would be good to see a few people attend. Rarely is there any one that comes to these decision making meetings that ultimately affect all residents.